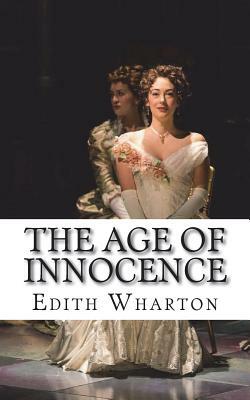 The Age of Innocence Pulitzer Prize for Fiction 1921 by Edith Wharton The Age of Innocence centers on one society couple's impending marriage and the introduction of a scandalous woman whose presence threatens their happiness. Though the novel questions the assumptions and mores of turn of the century New York society, it never devolves into an outright condemnation of the institution. In fact, Wharton considered this novel an "apology" for the earlier, more brutal and critical, "The House of Mirth." Not to be overlooked is the author's attention to detailing the charms and customs of this caste. The novel is lauded for its accurate portrayal of how the nineteenth-century East Coast American upper class lived and this combined with the social tragedy earned Wharton a Pulitzer - the first Pulitzer awarded to a woman. We are delighted to publish this classic book as part of our extensive Classic Library collection. Many of the books in our collection have been out of print for decades, and therefore have not been accessible to the general public. The aim of our publishing program is to facilitate rapid access to this vast reservoir of literature, and our view is that this is a significant literary work, which deserves to be brought back into print after many decades. The contents of the vast majority of titles in the Classic Library have been scanned from the original works. To ensure a high quality product, each title has been meticulously hand curated by our staff. Our philosophy has been guided by a desire to provide the reader with a book that is as close as possible to ownership of the original work. We hope that you will enjoy this wonderful classic work, and that for you it becomes an enriching experience.